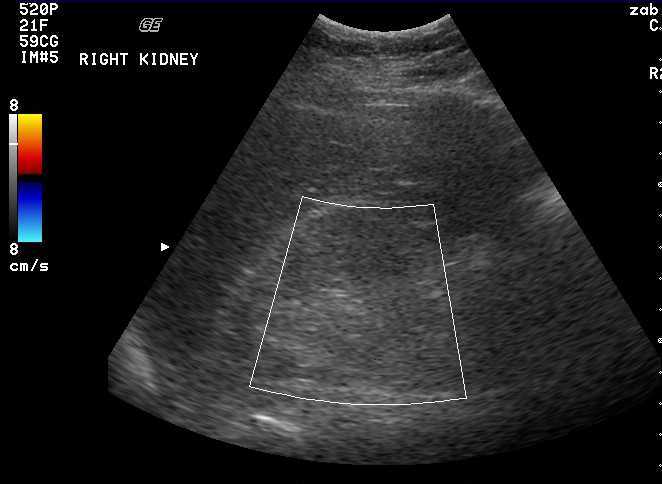 This pathway provides guidance on the imaging of adult patients with new onset or acutely worsening renal failure. 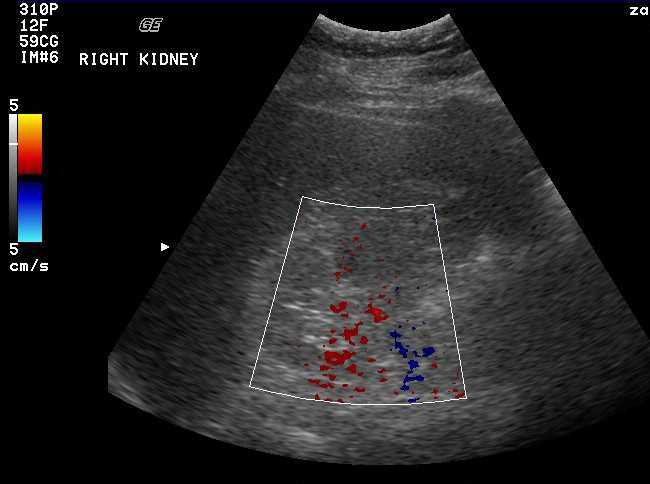 Image 1a, 1b, 1c (Right Kidney - Ultrasound), 1d and 1e (Left Kidney - Ultrasound): Both kidneys are small and echogenic. The right kidney measures 7.8cm and the left kidney measures 8.9cm. 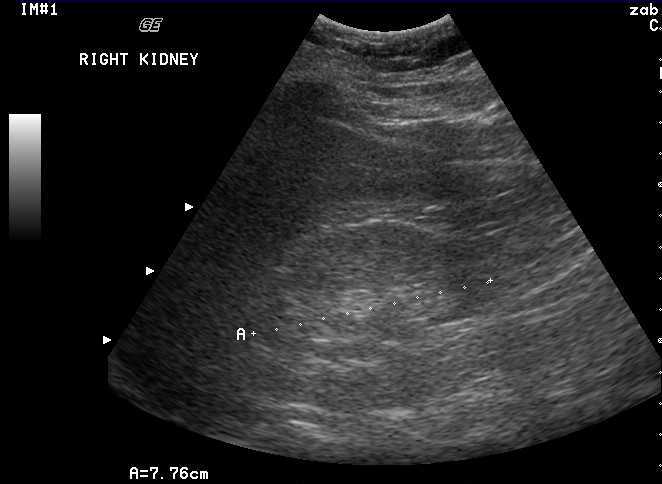 There is no evidence of hydronephrosis and no renal calculi are seen. 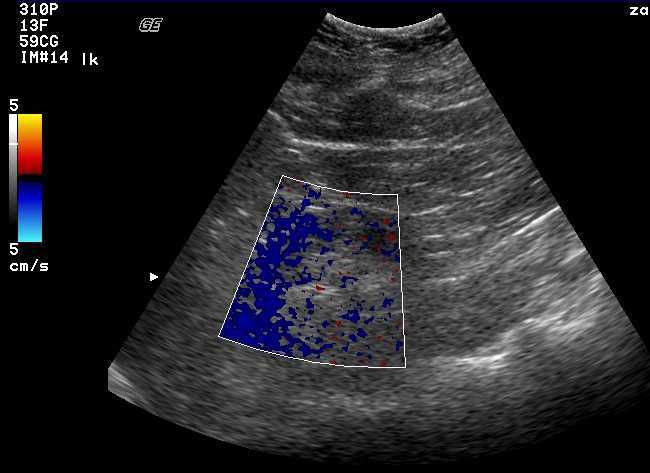 No vascular flow could be demonstrated within the parenchyma one either side. No collection is seen around either kidney. 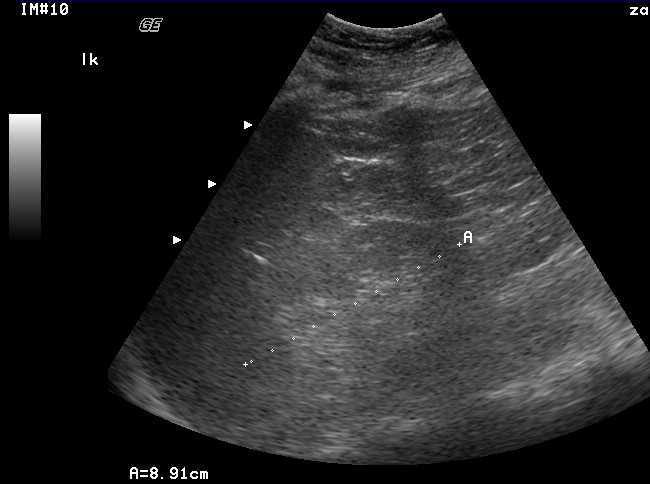 The bladder which is not illustrated here is well distended without focal abnormality. Vesicoureteric jets could not be visualised. These images are consistent with a chronic process such as a vasculitis. Advantages: non-invasive, relatively inexpensive, does not involve the use contrast material and no exposure to ionising radiation.